How cute is this card?! Okay, I’m a little embarrassed to tell you that I put it together in about 4 minutes from start to finish. It was so ridiculously fast and easy! How did I create this in no time flat? With a card kit! Close To My Heart introduced a new product line this year called Cut Above. There are 4 card kits and 2 treat bag kits in the Cut Above line, but since most of them are holiday focused, I’ll only be showing the generic kits today (the others will make their appearance around Halloween and Christmas). The “You Mean the World to Me” stamp set is meant to be used with both of these kits! You can mix and match the sentiments with the cards. There is no need to make an entire kit of the same cards (unless you want to! ), just mix them up with different sayings. In the trio of cards picture above, The card on the left is CTMH artwork, showing the “Happy Birthday” Card Kit. The card in the center (the one with the poor lighting…LOL!) is mine… I used the “Happy Birthday” Card Kit but wanted a different saying on my card. 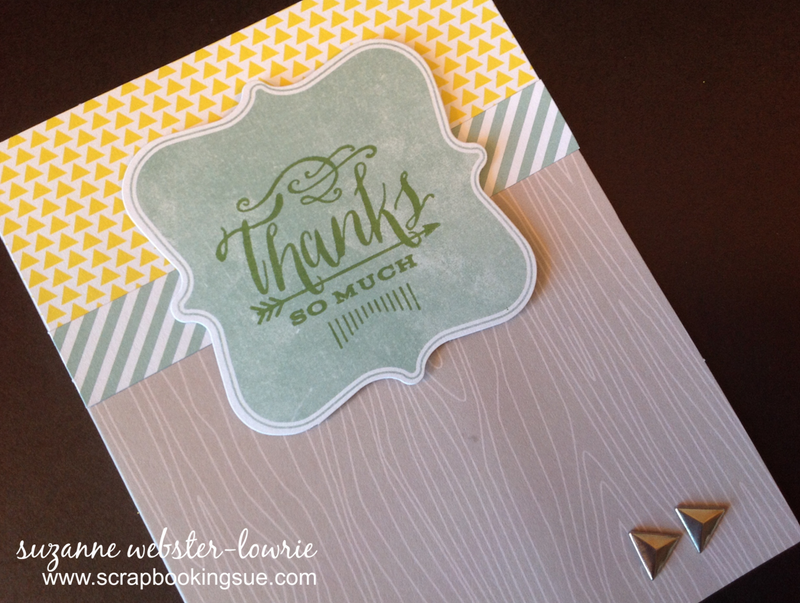 The card on the right is CTMH artwork, showing the “Thank You” Card Kit, using the same sentiment that I used on my card. Mix and match to your heart’s content! Oh, you can always make the cards a little differently and add extra embellishments as well. Go ahead, make it your own! « CTMH September Promotion – 30 FREE Stamps!